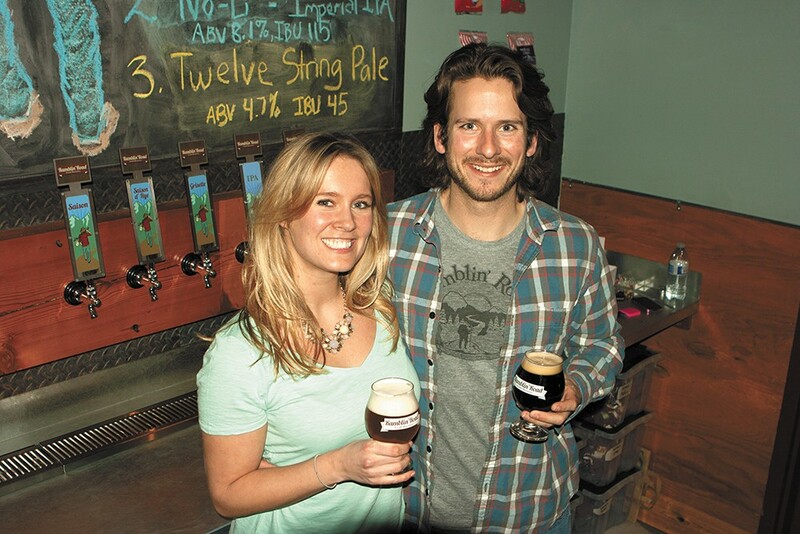 Danielle and Brian Guthrie, owners of Ramblin' Road Craft Brewery. In the southern part of Belgium where saison was the drink of the farmers, the miners wanted their own beer. So local brewers made a similarly light, refreshing brew for the miners, called grisette. Dani Guthrie tells the story as she places the palest of a row of tasters on the table. It's an accessible but obscure style not found at any other local breweries — and that's part of the reason Ramblin' Road Craft Brewery is making it. The brewery, which Brian and Dani Guthrie own with Dani's brother Will Spear, focuses on Belgians but embraces a broad range of styles. The IPA is a bestseller, and plans also include barrel-aged sours and wild ales. The rye saison has won over people who were skeptical of both Belgians and darker beers. "We brew beers that we like to drink ourselves," Brian says. "We like hoppy Northwest beers, which we'll do, but we're also interested in pushing the envelope with some funky Belgian styles that people are not quite as accustomed to." The brewery has been operating in the same location near the Logan neighborhood since 2012, but the taproom just opened in late January after extensive work to remodel the industrial warehouse space previously used for storage. Situated between No-Li Brewhouse and the Centennial Trail, the gray brick building features a cozy taproom space with a view of the gleaming silver equipment through broad garage-door windows. The Guthries homebrewed in Seattle, where they worked after studying at the University of Washington. But when it came time to open the brewery, they saw potential in their hometown of Spokane. "We wanted to come home and build something here," Brian says. "We have always thought that Spokane would have a booming, vibrant craft beer scene."